1) Marinate chicken meat with A and B for at least 3 hours. 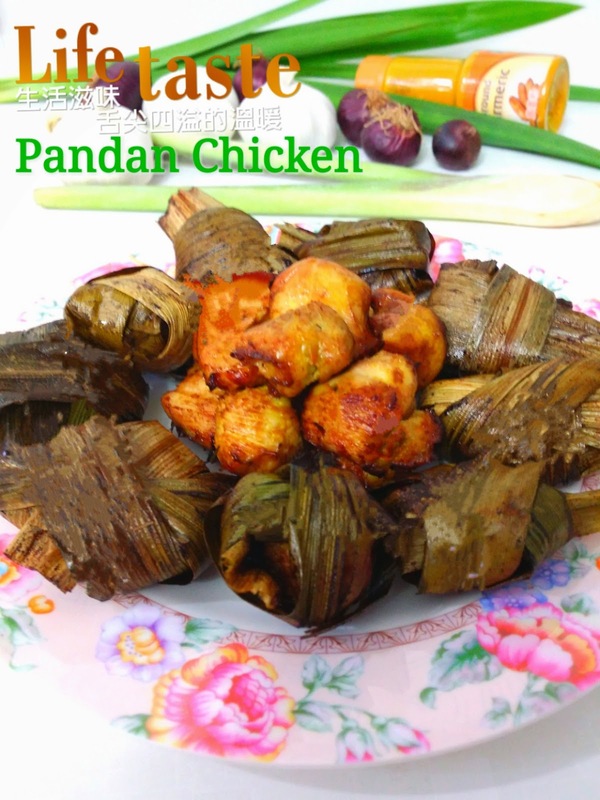 2) Use a piece of big pandan leaf, form into cone and wrap up 1 or 2 cubes of chicken meat. You may refer to YouTube for guide. Just search under pandan chicken. 3) Arrange pandan chicken on wire rack. Drizzle with some oil and cover with more pandan leaves. 4) Bake in pre-heated air fryer/oven using 190°c for about 25-30 mins, till the pandan leaves covering on top are dry and golden brown. 5) You may also deep fry the chicken. Chicken is done when the pandan leaves turned brown and crispy looking. Drain on paper towels before serving.